Paul has been cast in MARCELLA Series 3. It is a multi-stranded crime-drama from the Swedish creator and writer of ‘The Bridge’, Hans Rosenfeldt and stars Anna Friel. Filming gets underway later this month in Belfast. He most recently filmed the role of Tovis Fen in Season 2 of Sci-Fi adventure series KRYPTON directed by Marc Roskin for Warner Horizon/Syfy. Season two is likely to air in March 2019 on Syfy in the US and E4 in the UK and Ireland later in 2019. 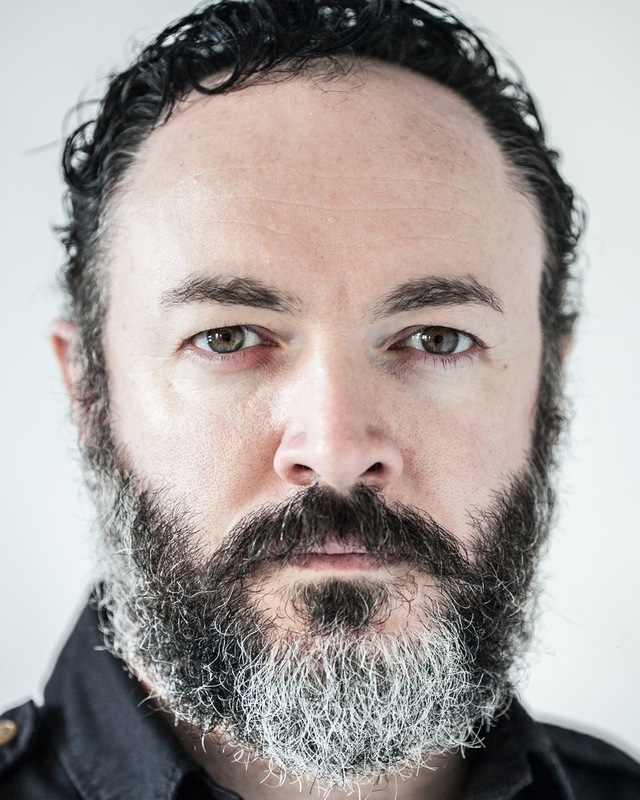 Recent television credits include CI Joseph Quinn in DEATH AND NIGHTINGALES directed by Alan Cubitt, THE WOMAN IN WHITE directed by Carl Tibbetts and COME HOME directed by Andrea Harkin all for the BBC. Further screen work includes Paul Abbott’s drama comedy NO OFFENCE directed by Catherine Morshead for Channel 4, recurring role “Treadaway” in THE FRANKENSTEIN CHRONICLES 2 directed by Alex Gabassi for ITV Encore, Stephen Jennings in all three seasons of acclaimed crime/drama THE FALL created by Allan Cubitt for BBC/Artists Studio, THE SECRET directed by Nick Murphy for ITV, GAME OF THRONES created by D.B. Weiss and George R.R. Martin for HBO, TV movie SAVING THE TITANIC (Tile Films), RIPPER STREET directed by Andy Wilson (Element/Tiger Aspect), LINE OF DUTY 3 (BBC) and the role of Pat Jennings in SHOOTING FOR SOCRATES for New Black Films. Other credits include ENDGAME (Silver Films), MURDER (Stirling), OMAGH (Tiger Aspect), GIVE MY HEAD PEACE: CHRISTMAS SPECIAL (BBC NI), FIFTY DEAD MEN WALKING (Running Man Productions), AIKEN – GUNMAN AND STATESMAN (Mint Productions), TEETHGRINDER (BBC), FIVE MINUTES OF HEAVEN (BIG FISH FILMS), OCCUPATION (BBC), CHERRYBOMB (Generator Films), BEST: HIS MOTHER’S SON (BBC), GHOST MACHINE (Generator), DAVY JONES (Deviate), CUP CAKE (4×4), L.O.L (BBC), JUMP (HotShot Films), WODEHOUSE IN EXILE (BBC), 6 DEGREES (Stirling), TO LOSE CONTROL (Scattered Images), PRESBYTERIANS (Below the Radar), MADE IN BELFAST (KGB Screen), THE WIPERS TIMES (BBC Films), , DANI’S CASTLE (The Foundation TV), 71 (Run 71), MAGPIE (The Fyzz Facility), HALO: NIGHTFALL (Microsoft Studios), MILLIE INBETWEEN (BBC) and A PATCH OF FOG (The Fyzz Facility). Recent theatre credits include the world premiere of CONTINUITY by Gerry Moynihan, a one-man show directed by Shane Dempsey, performed at the Finborough theatre, London. He appeared as Nat McIIwaine in the acclaimed Abbey Theatre/Headlong co-production of Frank McGuinness’ OBSERVE THE SONS OF ULSTER MARCHING TOWARDS THE SOMME directed by Jeremy Herrin and Howard Davies. Further stage appearances include RE-ENERGISE directed by Conall Morrison for Derry Playhouse, MACBETH directed by Lynne Parker at The Lyric, Belfast, RAIDERS OF THE LOST ARC, TITANS, CARNIVAL, THIS IS WHAT WE SANG directed by Paula McFetridge all for Kabosh, SCARBOROUGH directed by Emma Jordan (Prime Cut), THE CHRISTENING (Rawlife), THE SESSION directed by Pam Brighton (Dubbeljoint), DIARY OF A HUNGER STRIKE (Aisling Ghear), TOIL AND TROUBLE (Lyric 24 Hour Plays), AS YOU LIKE IT (Jigsaw Theatre), THE WAITING LIST (Jigsaw Theatre), CATHERINE MEDBH (The Miniaturists), THAT WOMAN ATRATHARD (Centre Stage), PLANET BELFAST (Tinderbox) and HEROES WITH THEIR HANDS IN THE AIR, RAT IN THE SKULL and FLIGHT all for Derry Playhouse.